Everyone instantly associates “Amityville” with ghosts and horror. 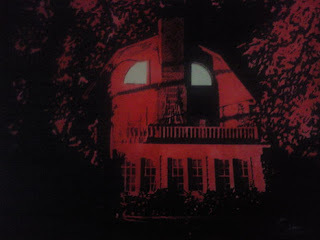 The tragic murders of the DeFeo family that took place in the “Amityville-horror-house” were very real, but the stories that followed are reported to be hoaxes. The Lutz family, who moved into the house after the murders, had many experiences during their month long stay. They claimed demons left hoof-prints in snow outside the house and that ghosts rattled cabinets and doors hard enough to break them. Was any of it true? There was no snowfall in Amityville that month, and the new owners, who moved in after the Lutzes fled, claimed the original doors and cabinets were undamaged. There are more imaginative Long Island ghost and paranormal stories out there. Read about these Long Islanders who go bump in the night!